At a school known for so many outstanding three-sport athletes, Broemmel was one of the best of his era. 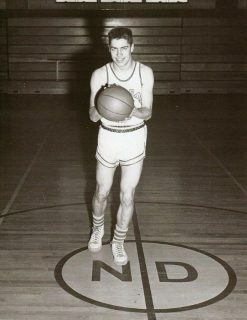 Broemmel, a 1955 graduate of Notre Dame, was a letter winner for three years in football, baseball and basketball. When he graduated, he was the second-leading scorer in the history of the school with 848 points. He helped the Raiders go 20-6 during his junior season and 18-8 during his senior season, with both teams losing to Quincy High School in the regional finals. He was the fifth-leading scorer in the decade of the 1950s, and he still ranks among the top 25 in school history among all scorers. His 535 points during his senior season in 1954-55 is among the top 15 all- time single-season efforts, and he averaged 20.6 points per game. His 35-point effort against Mount Sterling is among the top 25 single-game performances ever. Broemmel went on to attend the University of Notre Dame, where he was a member of the baseball team for four years and started for the Fighting Irish for two seasons. He played shortstop and left field, and he was a member of two teams that qualified for the NCAA Tournament. 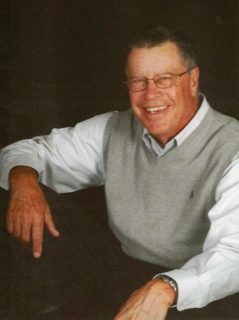 Broemmel worked for Moorman Manufacturing Company and Mid-American Petroleum Company, then worked for Edward Jones Investments from 1982 until he retired in 2010. He and his wife, Judy, live in Marion, Ill. They have five children and 18 grandchildren.